I am based in Halifax, West Yorkshire in the United Kingdom. 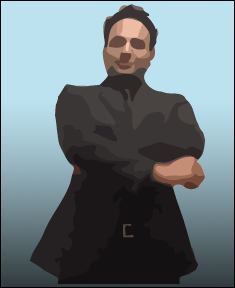 I have been working with new media, web site design and development since 2001, and have been working as a freelance designer & developer since 2006. Although I'm currently employed full time I still take on the odd interesting project. So it doesn't hurt to ask. I hand code my work using the standards set out by the W3C, namely XHTML & CSS. 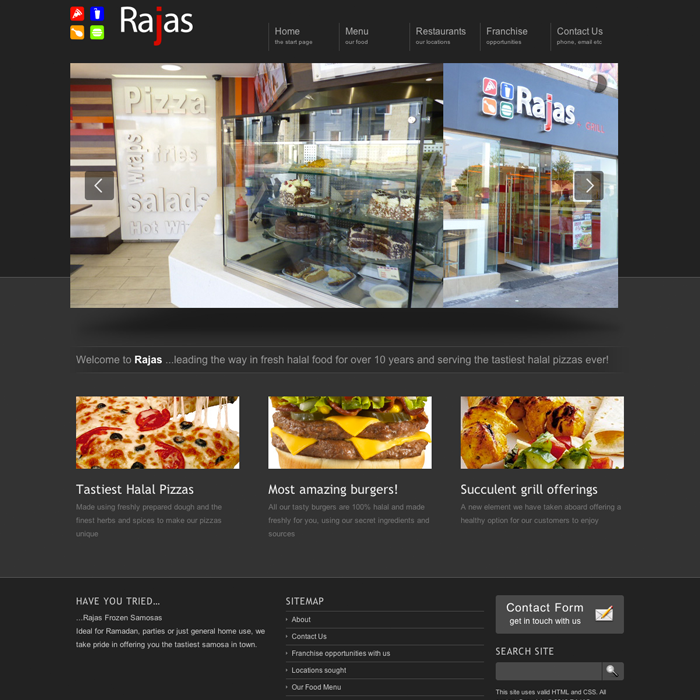 I build templates, full sites and front-end user interfaces. I also offer computer support, installations and upgrades too. If you have a project you would like help with, drop me a line, I would love to help. 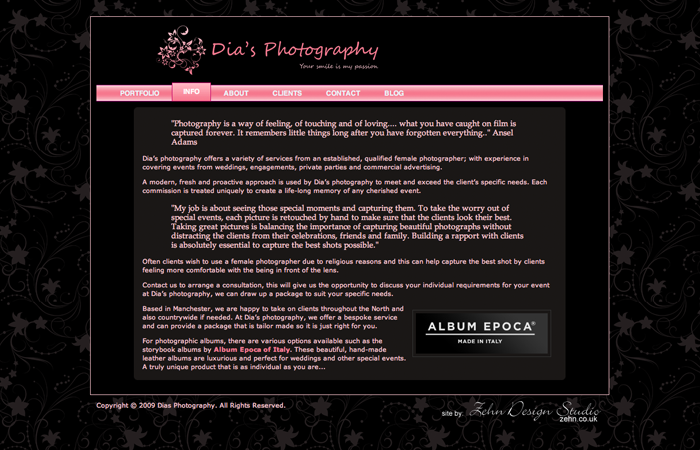 I design clean, smart & effective websites! Built with the highest web standards. Kashmiri Aroma Restaurant Click here to visit the site. 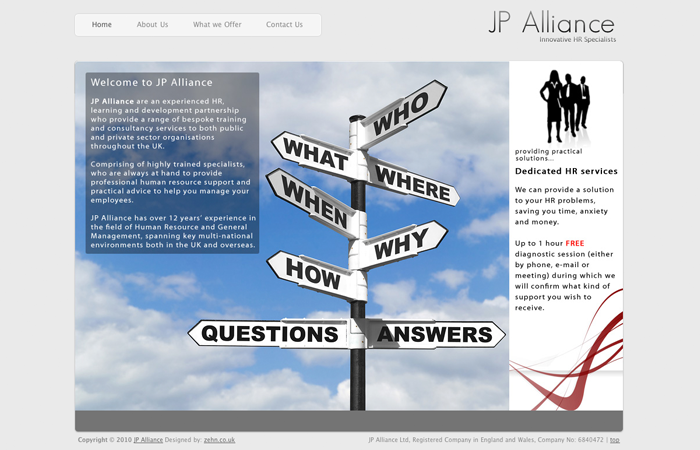 JP Alliance - HR Management Click here to visit the site. 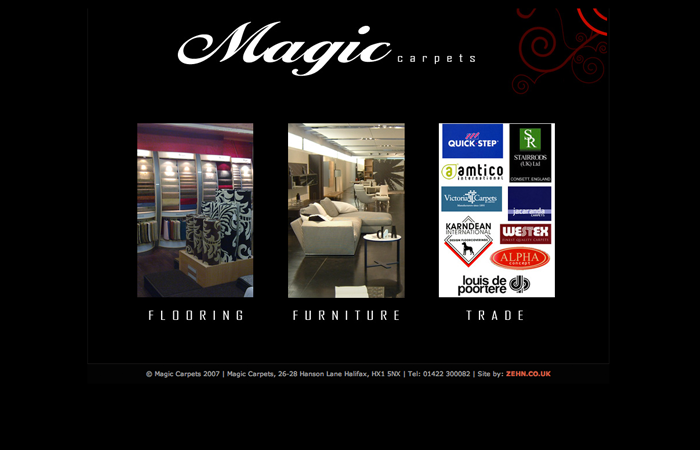 Magic Carpets & Flooring Click here to visit the site. 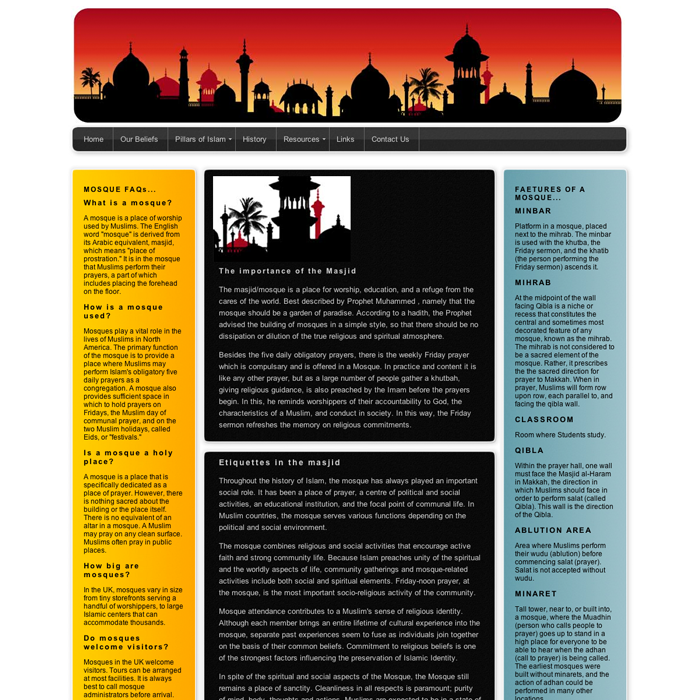 Masjid Information Site Click here to visit the site. Project Name Click here to visit the site. 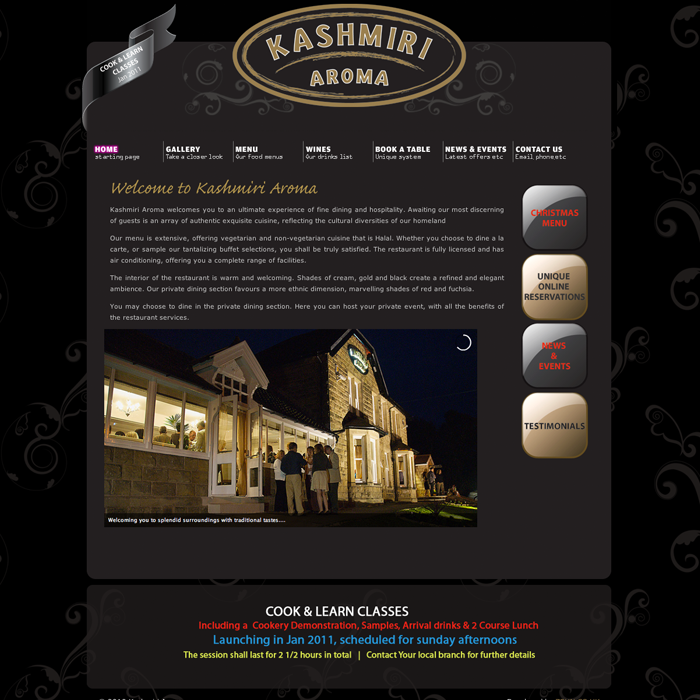 The Kashmiri Aroma website features some of our most technical work. 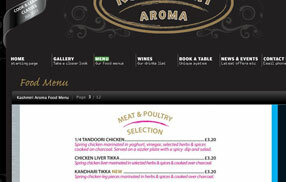 It features a fully automated online booking system - a first for any UK based asian restaurant! and we are still leading the way nearly 2 years after first introducing the system! The flash galleries that are featured on the site are database driven and are fully customisable by a novice user or a web pro. new content can also be uploaded as easily as sending an email! 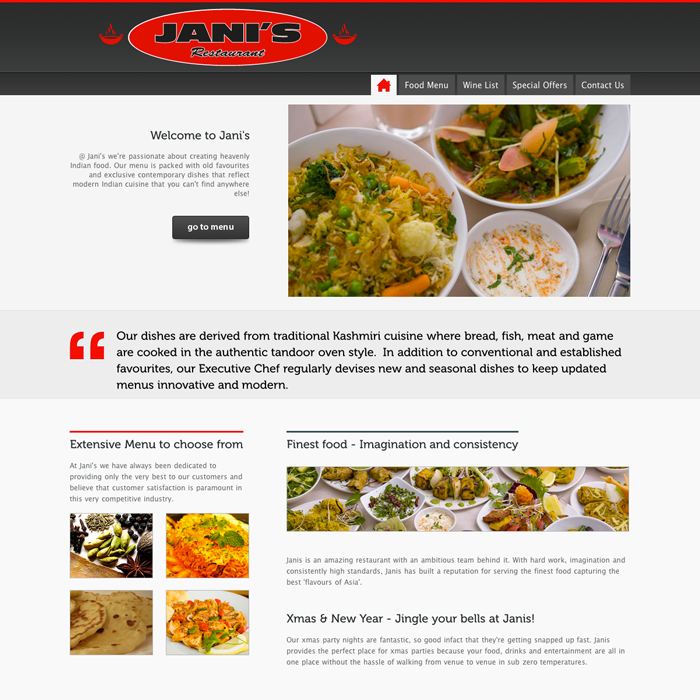 Webdesign and Front-end Development for the UK based, Jani's restaurant! has just been completed. 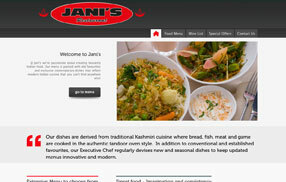 Please visit the site at www.janisrestaurant.co.uk. 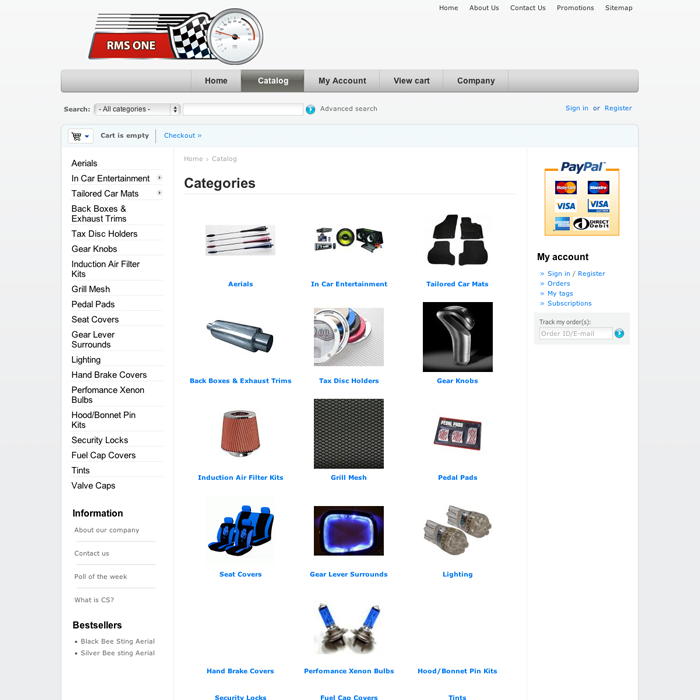 The site features an online menu and special offers page that is kept up to date using a CMS system.